SASL, which delivered the UK’s first dedicated cycling wind tunnel installed at the Boardman Performance Centre, Evesham, is delivering an adaptable facility, which will be used for research and development of a range of sports. 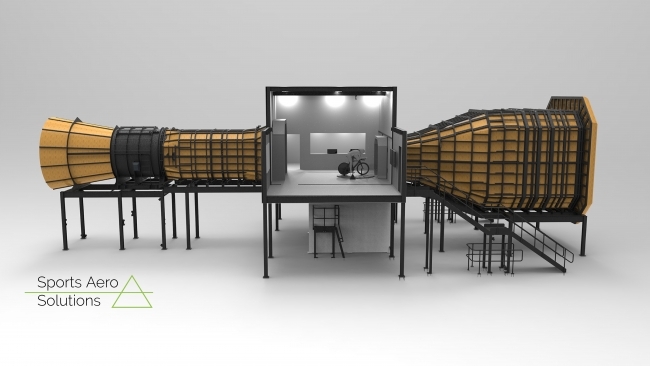 With fan measuring 2.5 meters in diameter, and speeds of approximately 60mph, the wind tunnel will enable analysis of sports including cycling, running, skiing and even ski-jumping. Based on open source programming, the software within the tunnel enables sportspeople to access data however they want, from coefficient drag figures to pressure distribution, enabling R&D developers to understand the changes required to drive performance improvement.